This morning I spent more time with my new favorite thing...the airbrushed. I painted 14 mouse masks and managed to cross another project off my long long list. The Nutcracker mask!! During the battle scene the Nutcracker changes from a toy to a real person that takes on the Mouse Queen and rescues Clara. 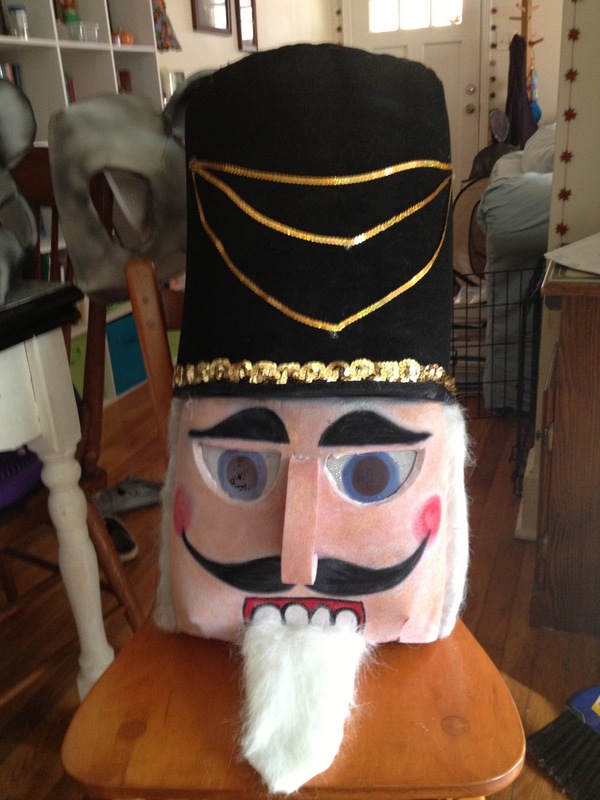 I worked to make a mask that matches the nutcracker we are using. Next up the Mouse Queen!